I am running the latest firmware (2.1.0) on my three eeros. My other two eeros are hardwired via ethernet back into the switch. Upon updating the iOS app, I started checking to see which devices are connected to which eeros. I was surprised at what I found. Most of my devices are connected to the primary eero. An iPad in an upstairs bedroom is connected (with a weak signal) to the primary eero which is downstairs in my den even though there is an eero in the same bedroom as the iPad. (The iPad stays in that bedroom, it never wanders around the house). My Rachio sprinkler controller is also connected to the den eero even though there is an eero much closer to the garage. These are not the results I expected. I thought I placed the eeros to give me strong coverage throughout the house but the devices don't seem to want to connect to the closest available eero. I also thought since I wired them via ethernet that this would give me the strongest possible mesh network possible. Did I do something wrong in my setup? Any suggestions on how to correct this? Thanks for reaching out. It is awesome to hear that you are already testing out this new feature! In most cases, your devices will choose the best eero to connect to but sometimes connected devices may stay connected to eeros further away. It really depends on how that specific device handles roaming and handoff. While we support 802.11r, we're still working on full support for 802.11r Fast Transition. The issue is this protocol can cause issues for older WiFi devices, so we are working carefully on implementation. With stationary devices like your Rachio sprinkler system, if you happened to unplug or reboot an eero, there is also a chance it just stayed connected to another eero within range. If you see that a device isn’t connected to the closest eero, don’t worry as it may still have an excellent connection. However, if you’re seeing weaker connections when there is a closer eero, you can toggle wifi off and back on for the device to connect to a closer eero. It should automatically connect to the best eero. Again, at the end of the day, these decisions are ultimately made by the device. However, we are continuing to put in the work on our end to make sure eero can do whatever possible to make these experiences more seamless. I've noticed the same issue with the same devices, but Rachio switched to a closer eero unit after a few hours, and the other devices (phones, laptops, etc.) switched more rapidly. It appears that IoT devices (Rachio, Nest, Smartcams, etc.) accessing the internet less frequently are slower to change eero access. Upon checking today, I see that the iPad now is connected to the eero in its room, without any change on my part. But the Rachio is still connected to the further (office) device. Maybe that will correct itself with time? I'll keep an eye on this to see if any patterns emerge. I would hope that my stationary IoT devices always are connected to the closest device to ensure a strong WiFi signal. With other mobile devices, where I'm moving around the house with them, I would assume that they bounce from one to the other depending on what is is range for where I am at any particular moment. Maybe it's a bad assumption on my part to think that a device will connect to the strongest device in range and that instead it stays connected to whatever it first attached to until/unless that signal disappears or falls out of range? Again, while eero is designed to work in this way, the decision of which eero to connect to (and switch to) is ultimately up to the device. If an IoT device, like a stationary sprinkler system, is within range of two eeros, it may connect to one and not the other. You can try toggling the WiFi off and back on for these devices (if the device doesn't have such an option, you can power cycle it) to see if it connects to the correct eero. We just recently began surfacing information on which eeros your devices are connected to in the app. If you have any feedback or suggestions on how to improve this feature based on your experience with it thus far, we're all ears! Would it be possible to list all the devices connected to an eero from the device page itself? For example, if I am viewing the information page on my Hallway eero can you list all the devices connected to it here. Would help me determine if I am overloading a single device and how I might be able to spread the load. While that isn't currently a feature, that is great feedback! Happy to relay it to the team. My iphone7 picks the main router and uses he 2.4 ghz even though there is another router sitting right next to me. Just installed a new Gen2 Pro system today. I found that my iPhoneX kept connected to a remote Eero even when I am right next to the main/router Eero. I tried turning Wifi on/off a few times on the phone and even re-powered it, but it kept connecting to the remote one. I finally did a 'reset' on the remote Eero that it was connected to from the app and then it connected to the one nearby. But hoping the roaming will be a little more intelligent than that. I'm thinking there should be an app button called 'Connect device to Best Eero' that would force it to reconnect? I also just installed the Pro system today which is basically the gen 2. I tried the google wifi, orbi, and then the Eero. Coming from using a Open Mesh setup. So far the Eero is the best at handing off to the right access point. I'm pretty impressed. After first installing we noticed our iphones getting stuck on our master bedroom access point and not rolling to the next unit when roaming. After a few hours of playing with placement we got that pretty much settled. I have to say day 1 I am really impressed. Fingers crossed. We just got gigabit comcast coax upgrade here and we are able to get the 940 mps wired and about 560 mps wireless. It does have a lot to do with the iphone on the roaming, I know my Dell laptop jumps from access point to access point with no issues. My $1000 iphone though wants to connect to 2.4 no matter what brand I try. stevebgcs what modem and what ethernet cable are you using? I just upgrade my comcast internet to gigabit service, but I can't seem to get that high speed. The highest speedtest I had on eero app is 758 and 42. Usually I only got about 300 and 42 from my macbook. Im currently using Sb8200 modem and cat6 ethernet cable to eero. antonyku I'm experiencing the same results with Xfinity gigabit service using xb6-a modem. Around 750 download and 41 upload on eero app and wirelessly I'm getting around 250-300 down and 41 upload, tested on multiple devices. When i turn off the eero and enable WiFi on the Xfinity router, i get about 500-600 download wireless. There is zero interference where the eero is located. Tried it with bridge mode on and off, with same results. Nowhere near advertised speeds. antonyku XB6 Comcast modem - i have all the wireless disabled on comcast modem and also using ethernet backhaul on extra 2 eero's. I'm a week in and things are stable. I'm very happy with my results. Jzd5032 so i finally figure out whats wrong with the speed. Xfinity got stuck with my old modem with cap at 700 mbps. When i call them, i have to tell them i got a new modem and remove the old one off my account. After a few calls, they finally got my new modem in the system. Now i got over 900 mbps from the modem to computer. When i tried to connect to eero, i only got 700 mbps. I have to figure out more from the eero side now. Hope i can get to 900 mbps from eero soon. would be nice to have the capability in the app to enforce which eero a device connects to. Add me to the list of users who have a problem with wifi handoff with my main eero and 2 beacons. 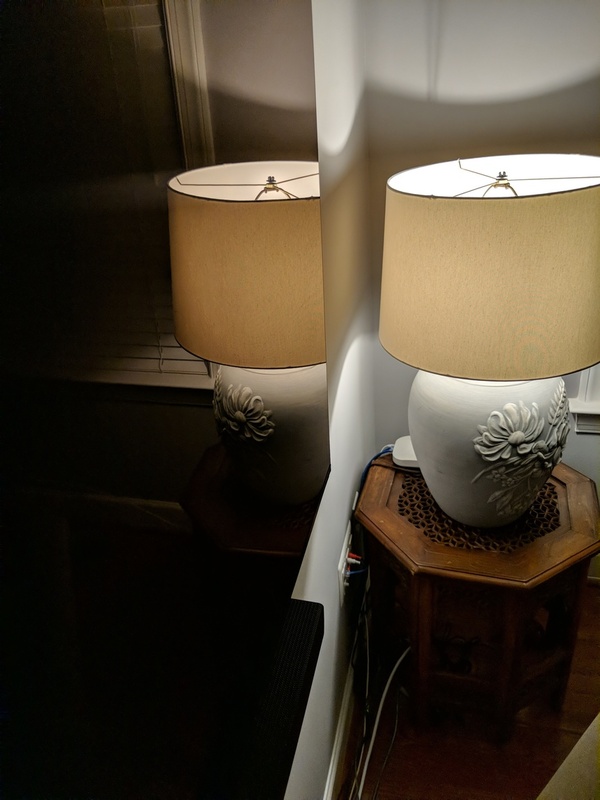 My devices are not handing off to the nearest beacon or they get stuck on the main eero and will not hand off to the closest beacon. Having to manually turn the wifi off and on to try to force a connection on my iPhone, iPad, etc., is just not a good solution. It would be awesome if I could click into my main Eero and see the connected devices and move them to closer Eero’s. My bedroom fire stick is trying to connect with the Eero that is the furthest away. I have 4 Eeros in my house and it should pick up one of the 3 that are closer. I have a Samsung TV connecting to my eero in the basement... my eero on the main floor is literally 2 feet away. Because it is connecting to the basement instead it is only achieving 2.4ghz. We need a solution to this.. give us an advanced user option to allow us to actually manage this wireless..
+1 for MAC address blacklist (selection) feature. My Sense energy monitor keeps dropping offline because it's switching back and forth between two beacons. The device is installed in the electrical panel so toggling the wifi isn't a quick workaround. Would love to be able to define which beacon it connects to. Why has this thread gone silent? Eero tech support, you don’t have anything further to say about these issues? I have 5 eeros throughout my home and my WiFi is still terrible. I have devices on one side of the house connecting to eeros on the other side of the house and visa versa resulting in multiple devices with poor performance. This is a massive issue. I spent multiple hundreds of dollars to avoid this headache. Isn’t it your website that says “Life is too short for bad WiFi?” And “You need a system that works” Makes me sick reading through your site. Thanks for reaching out Ssdalton and welcome to the Community! We absolutely appreciate you taking the time to share your concerns with us. Based on what you've said here, I absolutely understand how that's a major source of frustration, and it sounds like something we can help improve with some discussion and network adjustment. For ongoing feedback, we encourage you to comment on the open feature request threads such as this. Q&A threads like the one we're on are typically lower-activity since they're designed for users to get one-time answers to specific questions. Additionally, while myself and the other Community members are more than happy to offer guidance and insight where possible here on the forums, I'd like to stress that the best place to get direct troubleshooting assistance is directly from our Support team, reachable at 877-659-2347 or support@eero.com. For your specific situation, it sounds like there are a few key details we'll need to gather to offer further help, so a call or email to support is warranted in this case. If you'd like to email and put "Community Feedback" in the subject line, I'd be happy to make sure that this gets to a senior specialist who can help you get to the root of the problem. It's our goal for your WiFi to be the best it's ever been, so we look forward to hearing from you! Drew granted this is an issue all of us are stressing, to me it makes sense that discussion is kept on a thread like this as we all want this resolved. It's a MAJOR problem, the interface for Eero is so unconfigurable that there is no solution for us or a support engineer on the phone to implement. Also, keep in mind that this thread started 2 years ago and nothing has been resolved. Appreciate your insights here Propho – I'd like to take this opportunity to clarify a little further on this behavior. As Jeff mentioned at the top of the thread, and as has been mentioned by myself and other users on related threads, at the end of the day this is normal behavior. We definitely understand that devices connecting to suboptimal nodes is a frustrating experience, but it's expected that devices on a WiFi network will choose which access points they associate with at any given time; in other words, while this is something we're exploring to improve the user experience, this isn't something we consider to be a known issue that needs to be resolved, but rather a new functionality that we're exploring for implementation. Adding the ability in the app to manually assign a device to a specific eero requires a lot of nuance, as we'll have to account for the many devices that have their own programmed preferences when on multi-access-point networks. That said, I'd like to assure you that it's a functionality that we definitely see value in, which is why I encourage you to participate on the dedicated Feature Request thread I linked in my prior comment. As always, if you're having concerns with your network that you'd like our help with, contacting support is the best method of making sure that we do everything we can to improve your specific situation. Thanks again so much for sharing your thoughts and experience on this topic, and we look forward to hearing your feedback going forward! I've noticed that when there is a power blip and the Eeros restart that things get messed up and my gateway typically ends up with a whole lot of connections that should be attached to closer eeros. Also, another thing I've noticed is that some devices do not seem to know how to connect to a mesh network and wnat to connect behind the scenes to a device ID rather than to a network name (and closest Eero). In particular, I've got six security cameras that all do this and I've got four Xbox 360s that also do this. I've also got a Black & Decker wifi slow cooker that does this. For the security cameras, I have to restart the devices and hope that they go to a new Eero and the results have been pretty good, however they sometimes try and connect back to the specific Eero that they originally connected to. With my previous mesh network (Nova) the cameras would show the different Nova units but all of them had the same network name so I had to guess which one was the closest. So Eero is WAY better than my previous mesh solution. For the Xbox 360s, which I use throughout the house as full-feature WMC extenders, they don't even give me the option so connecting to a mesh network is a bad solution for the Xbox 360s. I've had to get a Nova square instead of a Beacon for each Xbox 360 so that I can hardwire them directly into the Nova. That seems to work very well in fact - but only because they have ethernet capability! Manual config capability: Give us the option to go into a specific Eero/Beacon and when we see a device that should be connected elsewhere, allow us to disallow that device from connecting just to that Eero/Beacon in the future. Auto config capability: When a device connects to an Eero/Beacon have the other Eero's/Beacons on the mesh network try connecting and measure which one has the best connection then auto-deny and auto-accept that device to the best Eero/Beacon. At least see if we can have the manual config option please! I know we already have the option to manually disallow a device from joining the network but I'm suggesting a different layer of control so we can also disallow the device from connecting to a specific Eero or Beacon while still allowing it on the mesh wifi network. Here is another post with the same issue I have a 10 minute video of this issue happening on two iPhone xs max’s at the same time. I suspect all my devices would be the same if I moved around with all of them. both iPhones stay on the the main eero connected to modem while I’m right next to the remote eero on the otherside of my house. I’ve toggled WiFi on and off, airplane mode, I open and close other apps, load safari pages and nothing just won’t switch force close the eero app open it back up and it still stays on the wrong eero! It’s really odd to me that my device is deciding to stay on the one bar connection across the house versus the full bars right next to it and it’s really odd to me that you guys don’t have a feature/toggle where I can just press to connect to this eero! I think that’s the best feedback everyone on this topic has given y’all!!! seems like it would be a simple fix to add an eero force connect toggle for each eero on the app. This is pretty disappointing for me because the whole reason I return my Xfinity equipment and Xfi pods was for pretty much this same reason, I had to constantly toggle my Wi-Fi on and off every time I moved 5ft around in my house except that actually worked when I did it, this doesn’t matter it will just switch whenever it wants too. $500 bucks just seems a little steep for something that can’t handle switching devices properly or $1200 iPhones seems a little ridiculous when they can’t handle switching. Either way it’s one of these devices that we buy at steep premiums that don’t work properly or as advertised. It gets super frustrating and very rare to find a product of any kind that the consumer doesn’t end up paying to be an R&D consultant lol and in the end no real solutions just the next version. You’d think by 2019 these things wouldn’t be an issue since we have autonomous cars. Wait doesn’t that tech rely on some kinda networking and mapping and clear device communication to work properly as well??? ttt my surface studio (ridiculous high end) still connecting to downtstairs eero and getting terrible d/l rates (<100 on a gigabit service). Its nuts. ttt Hopefully Amazon cleans house.. the developers for Eero are terrible and Support may as well be non-existent because they have no power to fix anything due to developers being incapable of implementing simple requests. I'm mainly frustrated at the inability to turn off 2.4GHz or split it off onto a different SSID. Then obviously, blacklisting MAC Addresses on certain beacons for devices that aren't moving around would make so much sense. But again, we're at the mercy of developers that don't know what they are doing. Propho Luckily I’ve only had this eero pro for 2 days so I can still return them!! But it’s pretty telling that I found most of eero’s problems in two days, and that this thread/topic is 2years old and still an issues!! Anyone have suggestions on a new mesh system to replace eero? Hi, ttt – Thanks for taking the time to share your thoughts and feedback, and welcome to the eero Community. We appreciate your thoughts here, and sorry to hear about any frustration. So, to offer a little additional context and insight from our end, I'd like to stress that devices choosing which access point to associate with is not only expected, it's intentional, and that it's not anything broken that needs to be "fixed," per se. This is a core standard that's true of all mesh WiFi systems, not just eero (although we've done a lot under the hood that distinguishes us from other systems). Because devices being able to choose their own connection point is so crucial for ensuring a consistent and predictable connection, it's not quite as simple as just being able to add a toggle to the app – that said, please rest assured that the question of improving and streamlining the ability for devices of all kinds to connect consistently and smoothly to eero is something we're continually exploring, and it's something we hear loud and clear from users! Additionally, every home environment is different, and there are a variety of workarounds, improvements, and suggestions we can make that will very likely improve the behavior that you're currently seeing. We encourage you to reach out to us directly at 877-659-2347, or email support@eero.com with the details of your situation and we'd be happy to offer assistance any way we can to make sure you're getting the most out of your system. If you have any other feedback, we encourage you to share on the main feedback thread here rather than on individual Q&A threads like this one, for greater visibility and interaction with other users! Thanks again so much for your valuable thoughts and insights, and welcome to the Community! Drew So it’s intentional and crucial to let the device choose the worst connection point? Sounds backwards..
Can I ask why there is an option for “band steering” then? I did reach out and called and the person I spoke to offered no help really. He was able to see my devices weren’t switching to the closest connection point while on the phone with me. he said he gets a few calls a day about this problem, and there’s really nothing he can do after taking a look at my system remotely. I also noticed yesterday I left my house to run an errand at a stoplight I open the eero app for some reason. While miles away from my house the app was still showing that my device was connected to the worst connection point. it took a few more miles before the app cleared my device off of the connected list. That makes me think that it’s a communication issue with the app and the devices not being able to update properly the connection in real time. For example maybe the device is connected to the faster or better connection point but the communication between the device and the app doesn’t show that in real time until the communication between the two catch up...? This is an absolutely ridiculous problem and to have Eeros support bask in ignorance with a grin about function of design is disgusting. Wake up Eeros support!! This is a major problem. We all bought into this system purchasing extra devices thinking we'd get better service throughout our homes. But instead we have poor connections with devices stuck on far away end points. This makes absolutely zero common sense. I am furious with this terrible design and I'm happy to let all friends, family and review site know about this flawed product that I would never recommend anyone to waste their money on like I have. Craig yes, sadly I spoke highly of the product due to countless review sites promoting the product. Probably all paid off because anyone remotely technical would absolutely hate this product. Craig The client device determines what AP it connects to, not the eero. txgunlover Yes we know that, but the underlaying issue is the eero network devices. If I turn wifi off on my device and back on again I will continually connect to the eero device that is twice the distance from my device causing a latent connection that "feels slow". txgunlover how do you know the device is deciding for sure..? when any of my devices are connected to eero and i turn off the wifi on any of my devices, the eero app just keeps showing its connected for quite awhile. i have two iphones and at this moment i’m on wifi with this device yet eero shows that i’m not connected and my wifi is off on my other iphone and eero is showing its connected with full bars. is that my device deciding to tell eero to show its connected while the device shows not connected and vice versa..? and it’s exactly this stuck-in-the-mud mentality that’s driving us all nuts! Eero devs - be creative! Stop using excuses. Stop blaming devices as if you have no control. Eero can ban devices from the entire network just fine right? Yes. That is true. So give us the same ability to ban a device - but from a single Eero device/node. Problem solved. do any of you recommend a different better system ? ttt Try Google. They have one. ttt I can't recommend any competitors as I am unsure if it violates ToS on here..
Dmbtay my Samsung TV is roughly 2 feet away from the nearest eero. It frequently ends up on the eero a floor above or below. Because of that I have it wired in now..
i now have to turn my phone completely off and on for erro to register its not even on the network because my device is in airplane mode with the wifi turned off in the settings, same thing for connecting to the closest erro.... so is this the device still deciding to stay on the app?